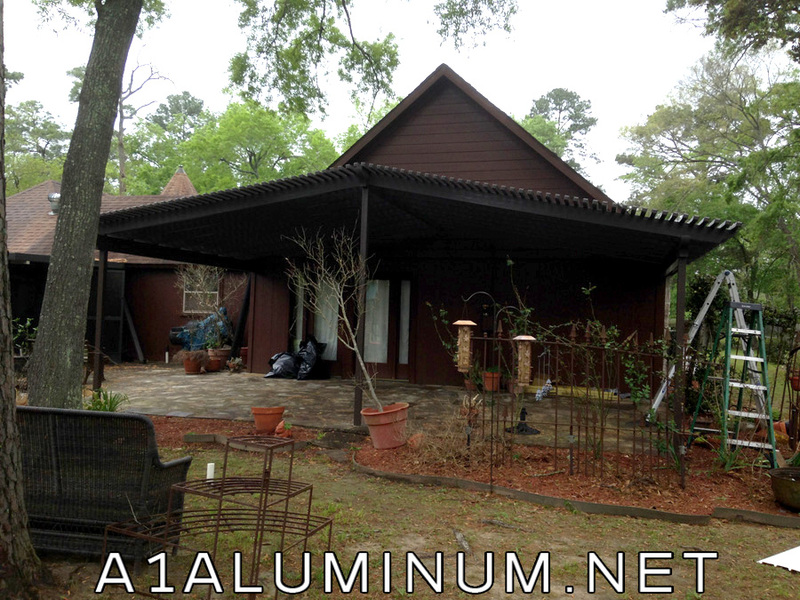 Here is another Pergola in Spanish Brown color we constructed for Ms. “T” in Highlands. 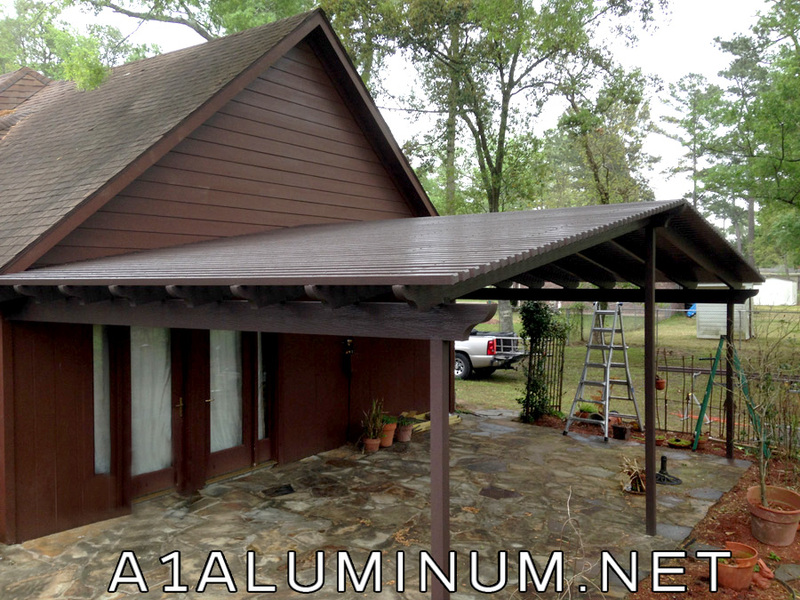 As you can see this one is gabled which adds a nice architectural feature and height as well. Ms. “T” is another repeat customer. If you look at the last picture you will see the pool enclosure we built for her over 7 years ago. See the pool enclosure back there?